One of the main requisites of increasing your sales is to establish a healthy relation between you and your prospective clients. And this is best achieved if you turn to the social media platforms. By using these platforms, you will be able to know their mind and work out your marketing strategies accordingly. Here let us see how you can use the social media platforms for optimum results. 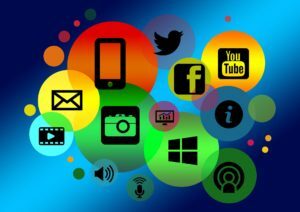 An important aspect that you ought to keep in mind is that social media platforms will be of use only if the leads that you are targeting also use the same platform. It does not make sense in establishing contact with customers that frequent other means of communication and you wrack your brains in these platforms working out ways to improve your sales figures. Few of the platforms that you can harness for marketing results include Instagram, Facebook, Twitter, Pinterest, and LinkedIn, so on. The mantra of success lies in the fact that you have to develop the technique of selling your products and services through these media in an interesting manner that which will entice your prospective clients. First and foremost, you will have to find out people that show interest in the type of products and services you offer. For this you can conduct a search on networking websites. Once you have found out your client base, you can engage in a conversation or answer a simple query that they want to know. And you will be able to do this the best since you are well versed in the industry and know how things work. So, it is best to assign the task to a subject matter expert that will be able to offer a piece of advice if required and at the same time answer queries that will add value. Once you get acquainted to the client base, slowly and steadily make headway and use your marketing skills. If you are lucky enough, and you have been able to fix a meeting with a prospective client, do so in private and on a one-on-one schedule. It will yield better results. Sales people around the world have one thing in common and that is to build a relationship with the clients. However, the relationship you develop should be healthy and should not just focus on your lead conversion. It should be a relationship such that the person should be able to depend on you. Remember, a good relationship also yields better results as far as convincing them about your products are concerned. So, when you are using the social media platforms, make sure you engage in a conversation that is essentially two way traffic. Prior to bridging the gap between you and your prospective clients, it is important that you listen carefully. And if you are using the social media platforms, you have to follow the messages carefully and try and understand what he wants to convey. An individual that is able to listen carefully will also be able to help the other person better in times of need. There are several online forums and websites that deal with various topics. Look for one that has a common interest with your topic and sign up for it right away. Involving in a discussion forum is of immense help as you get to know the other person’s point of view too and how they perceive of a particular product or service.